Collection of channeled messages and Fifth Dimensional exercises for personal healing and evolution, including meditations, cleaning out and grounding. Live in Love – A Life Handbook for the New Golden Age by Mikaelah Cordeo. New teachings on Initiation and Ascension, dimensional realities, Earth changes, Angels and Consciousness with over 25 exercises to assist in your personal healing and transformation process. 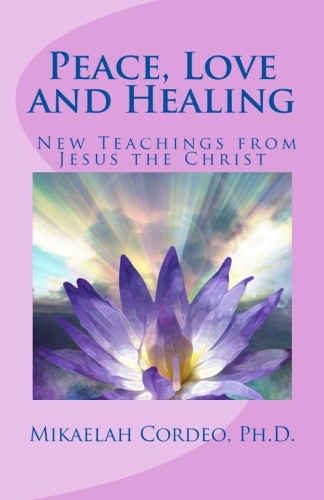 Transcendental messages of love, wisdom and transformation, with new tools, for the advanced metaphysician and those who want to deepen their connection with Jesus. New teachings on miracles, exploring the Tao, working with the Holy Spirit, and multiple exercises for personal healing and enlightenment.